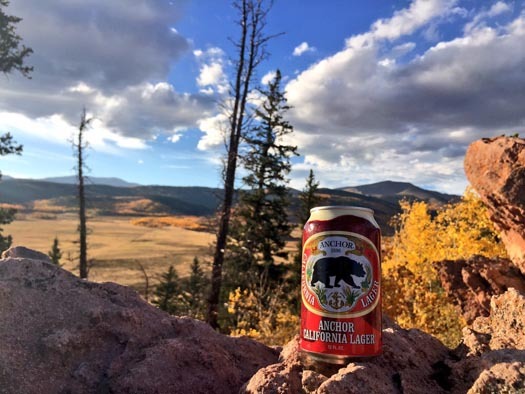 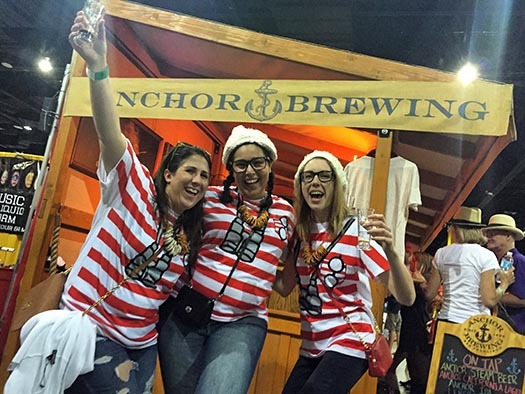 Just over a week after we packed up the taps and the rest of our gear to head back to San Fransicso, we thought it would be fun to take a look back at some of the highlights from the 2015 edition of the Great American Beer Festival. 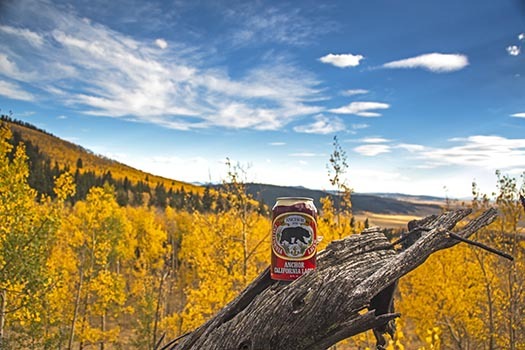 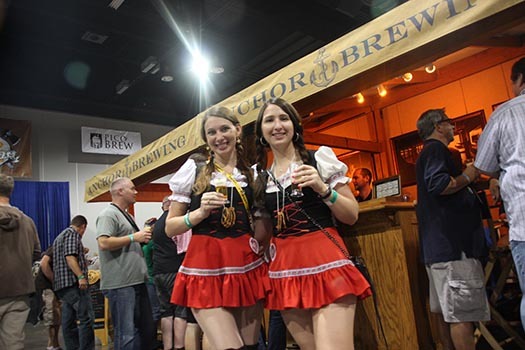 With over 3,500 beers poured by over 750 breweries, this year’s GABF offered plenty of flavors and beer styles for craft beer enthusiasts to choose from. 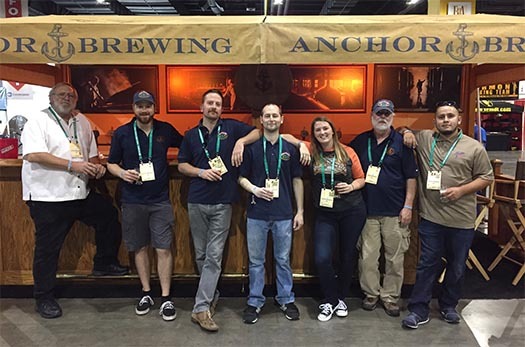 The Anchor crew ready to pour before session 1 on Thursday. 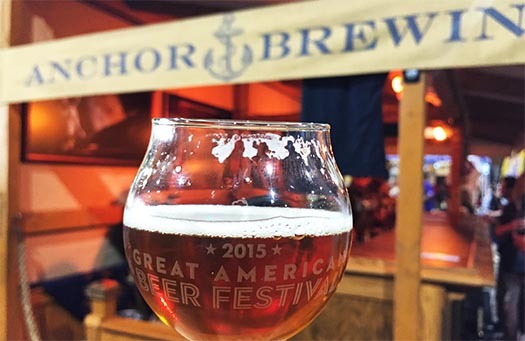 And pour they did! 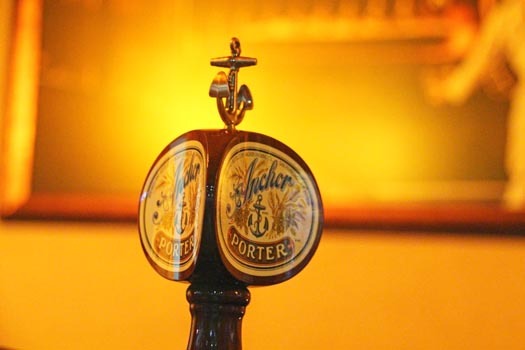 Each pour of every Anchor brew is poured directly from the tap into the glass by a member of the Anchor team. 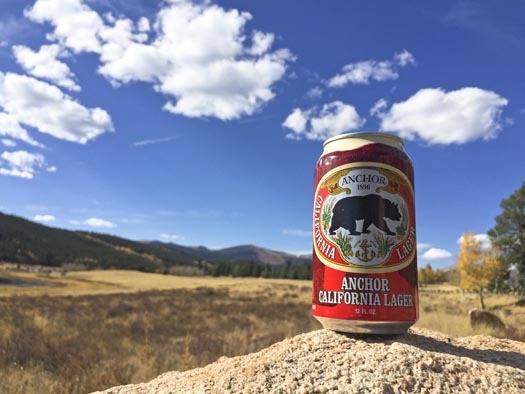 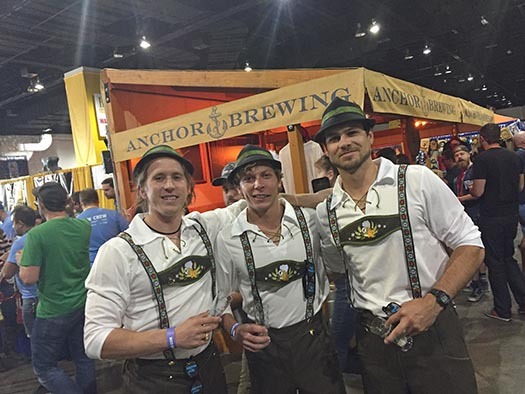 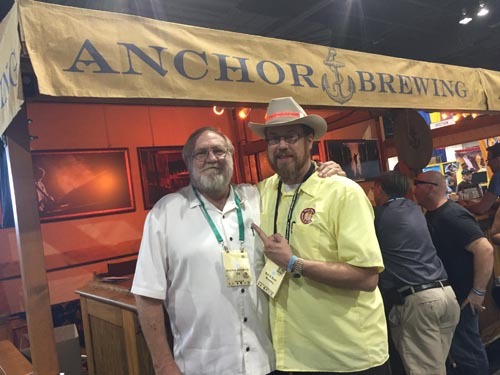 Thanks to everyone who stopped by to say hello and enjoy an Anchor brew or two with us during the four sessions. 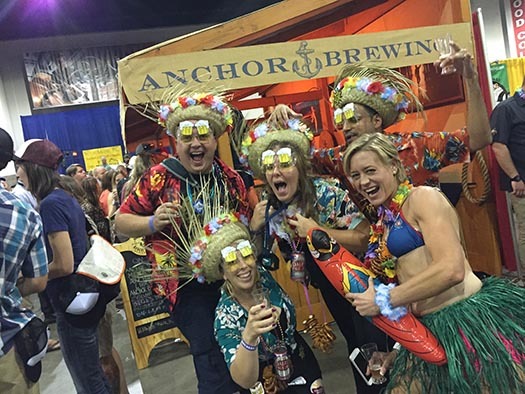 We had a great time catching up with old friends and new over a beer in downtown Denver. 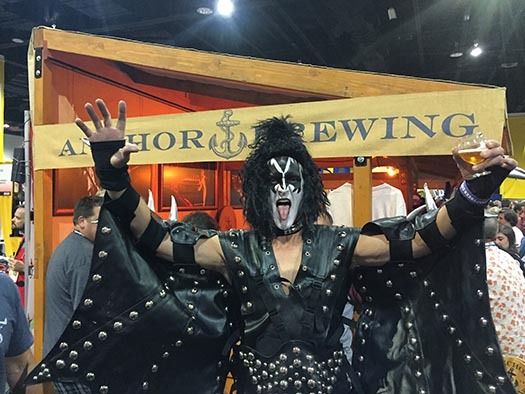 This year’s festival was the largest ever, and it wouldn’t be GABF without the creative craft beer enthusiasts who add a bit of extra flair to their festival attire. 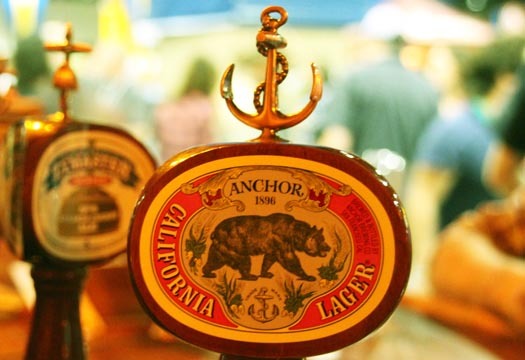 #RaiseYourAnchor to rock n’ roll. 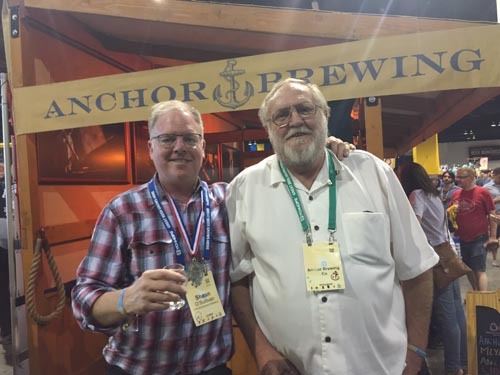 There were plenty of familiar faces, too, and we enjoyed seeing fellow brewers and industry friends from across the country and beyond. 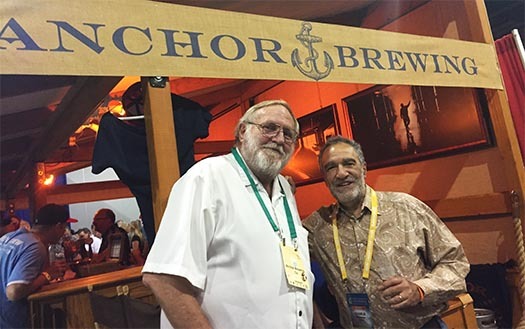 GABF founder and Brewers Association President Charlie Papazian stopped by to say hello over his traditional pour of Anchor Steam Beer. 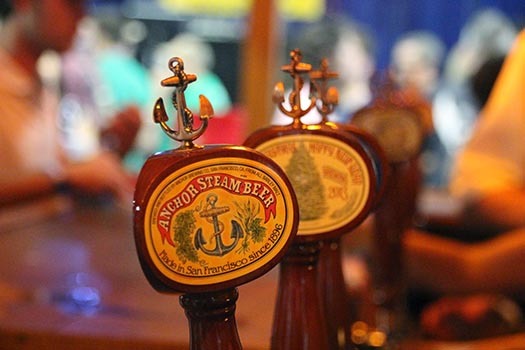 So what was on tap at the Anchor booth? 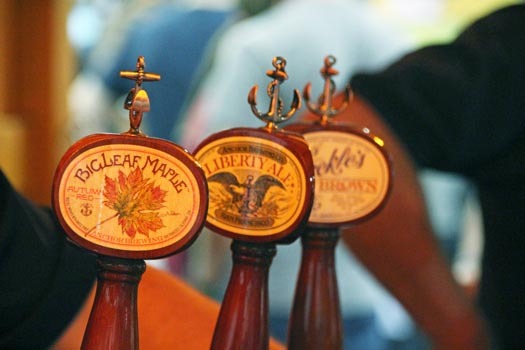 We poured traditional favorites like Anchor Steam Beer, Anchor Porter, and Liberty Ale, of course, and mixed in BigLeafMaple Autumn Red, Old Foghorn Barleywine, and a few surprises like 2013 Anchor Christmas Ale, among others. 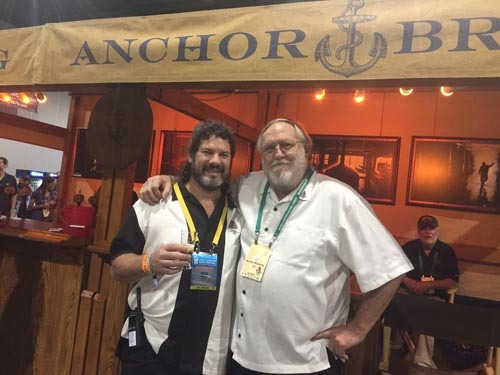 If you stopped by the Anchor booth during any of this year’s sessions, you had a chance to Ask Bob Brewer about any of the Anchor brews on draught, or other questions about beer and brewing, as he poured you an Anchor brew. 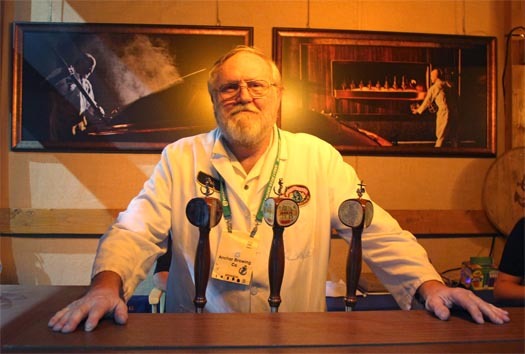 If you didn’t, you can always post your question about beer & brewing on our Facebook page and we’ll Ask Bob! 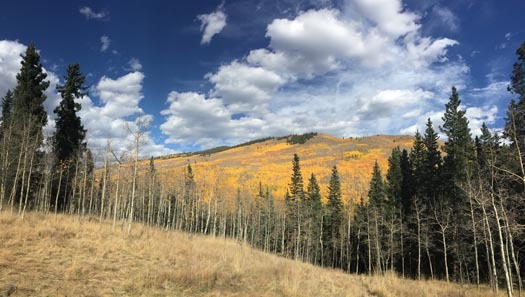 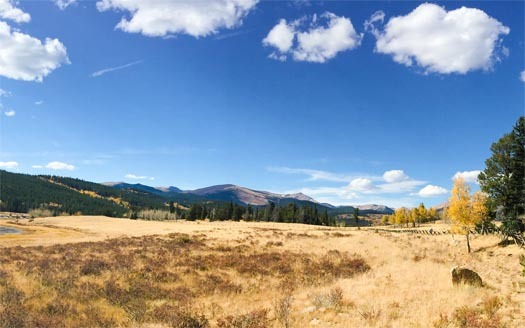 After the gear was packed and ready to roll, it was time for a Sunday drive to check out the fall colors in the mountains west of Denver. 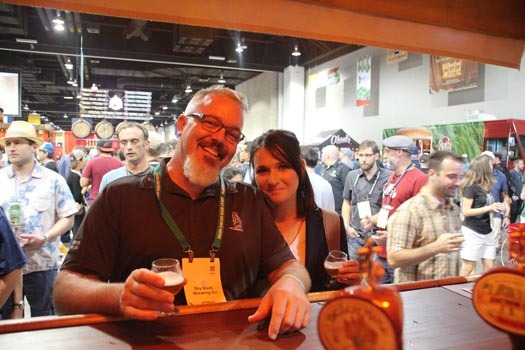 Cheers to our friends at the Brewers Association and their entire team who helped put together another successful GABF. 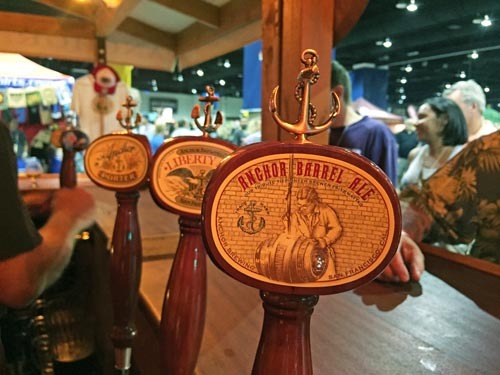 As the sign says on the way out of the convention center… See you next beer!